Got myself a new HP logic comparator which had a fault on it. The fault was with pin 11 on the LED’s. 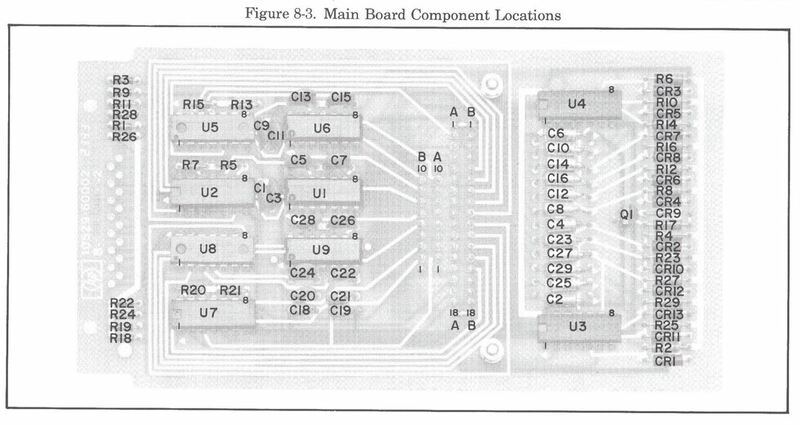 The schematics for this are available but its so small its pretty easy to trace out just by looking at it. Using the scope I found all the outputs of the 74L04 hex inverter at location U4 were stuck at around 1.7v. I replaced with with a 74LS04. While I was poking around I also found the zener diode CR3 had a dry joint so resoldered that too.